Namtso Lake is one of the three holy lakes in Tibet. The other two are Lake Manasarovar and Yamdrok Lake. So pilgrims and visitors go there every year. Located around 250 km from Lhasa city, it is a good attraction for one day tour. So Tibet Travel Expert offers private Namtso Lake Tour for you to enjoy the beautiful lakeview. Also, the landscape along the way is fantastic. You will see grasslands, wild animals and sheperds, which constitute a peaceful picture of sheperds’ life. Also, there is a hot spring near Namtso Lake, which called Yangpachen Hot Spring. So when you are back, you can have a bath there. 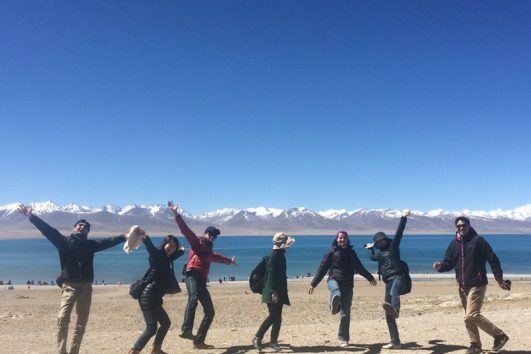 Highlighted Private 1 day Namtso Lake Tour covers the heaven Lake Namtso. Please book it at least 7 days in advance. However you need to confirm your permits with us at least 10 days (easy tour around Lhasa) to 30 days (if with Kailash included) in advance. If your trip does not include destinations such as Mt. Kailash, Mt. Everest, you can book the permits with us 10 working days time in advance.